We interpret the clinical research. You apply it at the point of care. 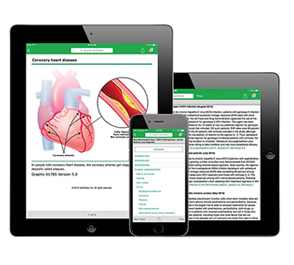 UpToDate® is continuously updated based on the lastest medical research to bring you current evidence-based recommendations. Our unparalleled team of physicians and editors places new research in the context of the existing body of medical knowledge, using their professional expertise and first-hand clinical experience. This combination of Evidence & Experience is invaluable in crafting point-of-care recommendations trusted by more than 1.3 million medical professionals worldwide. More than 9,700 graded recommendations, so you can quickly assess the quality of the evidence and the strength of each recommendation. UpToDate now provides special pricing for groups of 2-10 individuals. Read What’s New in your specialty, including Practice Changing UpDates that have an immediate impact on clinical decisions. © 2017 UpToDate, Inc. All rights reserved.